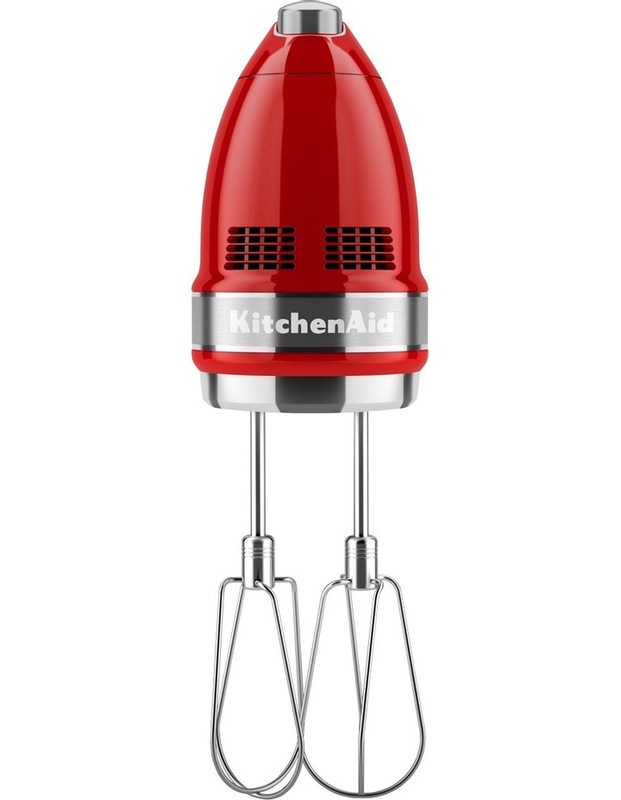 • Two Stainless Steel Turbo Beaters- mix heavy, dense ingredients and easily power through cookie. 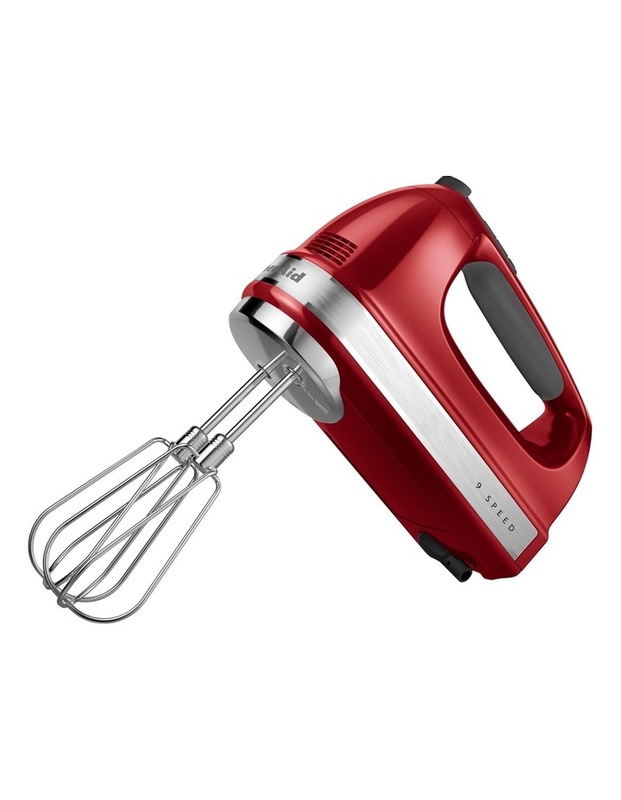 • Stainless Steel 16-Tine Pro Whisk- makes quick work of whipping. 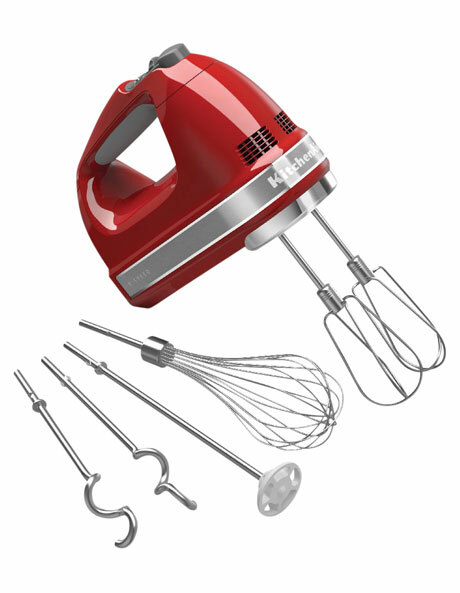 • Two Stainless Steel Dough Hooks- knead yeast doughs efficiently. • Liquid Blending Rod- blend smoothies, milkshakes and much more. • Soft Start Electronic Controls-prevents ingredients from splattering. • Electronic Mixing Sensor- adjusts to the resistance of what you are mixing. • Digital Display- shows mixing speed. • Clean Touch Control Pad- fingertip control of mixer speeds. 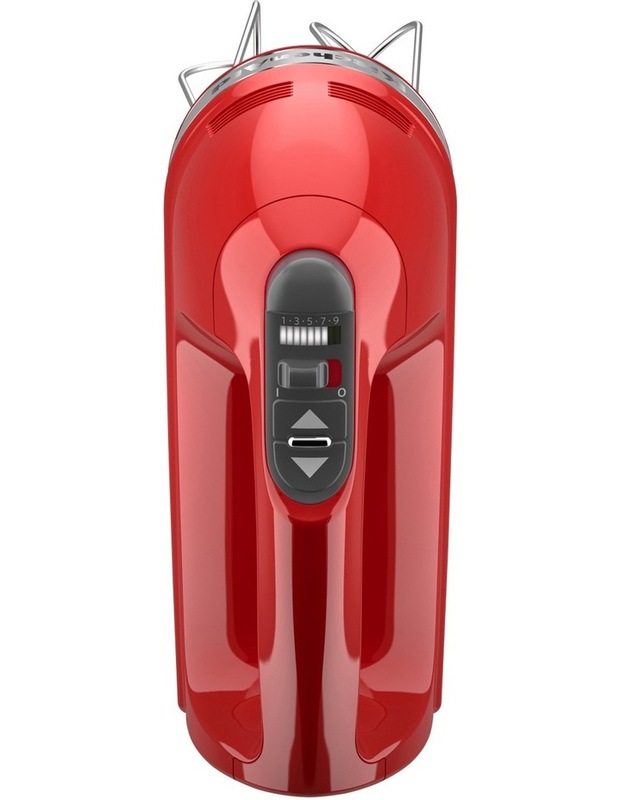 • Lockable Swivel Cord- makes left or right handed use easy. • 15.3 x 8.9 x 20.1cm, 2kg. 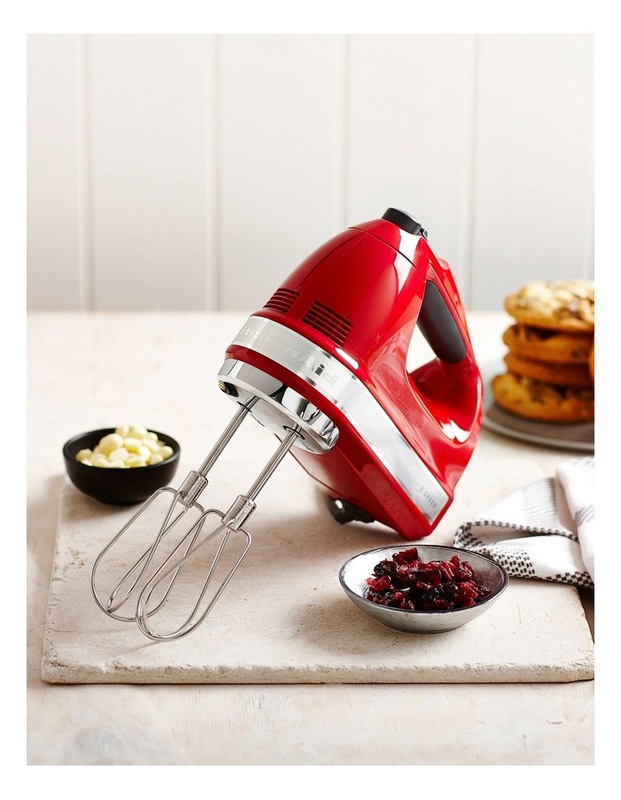 Mix, knead, whip and blend all of your favourite recipes with the convenience of a hand-held machine.